Phlorum Limited provides environmental consultancy services for today’s modern business environment. They operate with a range of clients and employ bespoke solutions to meet clients’ demands. We have established a reputation for providing professional, reliable, and cost effective services, which has led to a large client base, many great testimonials, and repeat business. The adoption of a quality management system was seen as a way to support this success and to underpin our continuing effectiveness and professionalism. 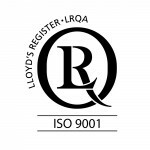 In June 2007 Phlorum’s integrated quality management system was accredited to the official ISO 9001 standard. This shows Phlorum’s commitment to complying with these official requirements and to continually improving our quality management system to ensure we keep providing an efficient and professional service to our clients. Phlorum Limited is committed to minimising its impacts upon the environment, through the adoption of an environmental management system, which demands continuous improvement. This management system aims to implement Phlorum’s integrated environmental policy throughout all of our operations and ensure it is complied with to reduce our impact on the environment. Phlorum’s environmental policy commits not only to ensuring sound environmental practices and continual improvement in the company, with environmental performance viewed as a key factor in our business success. But also we commit to compliance with all current legislation and the requirements of the official ISO 14001 standard. 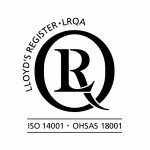 This led to accreditation in June 2007 of our environmental management system to the international ISO 14001 standard. Phlorum Limited is dedicated to ensuring the health and safety of all employees, clients, contractors and members of the public who our works may affect. For this reason we decided to formalise our integrated health and safety policy, procedures, and practices into a management system dedicated to high standards. This management system for health and safety covers all of Phlorum’s onsite and office operations to ensure we surpass all health and safety requirements. The management system was completed in September 2007, with consistent and successful operation leading to accreditation in October 2008. You can download a copy of our Integrated Management System (IMS) Policy here.